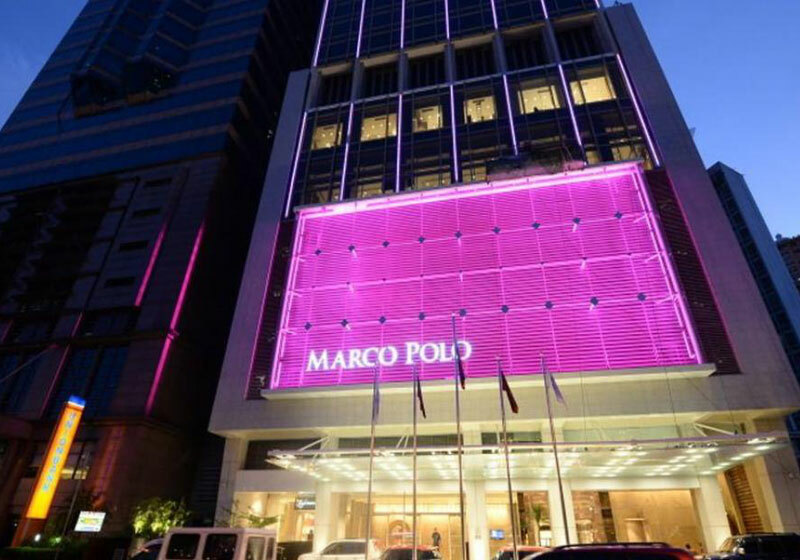 Nestled in the vibrant and growing commercial business district is the first purpose-built 5-star Marco Polo Hotel in the Philippines offering discerning guests 316 spacious and well-designed rooms and suites, including two Continental Club floors that accord unrivalled privileges and benefits. Marco Polo Ortigas Manila is centrally located in Ortigas Commercial Business District between Quezon City, Mandaluyong and Pasig City. Hotel is accessible to organizations such as Asian Development Bank, Meralco, San Miguel Corporation, major Business Process Outsource (BPO) establishments and pharmaceutical companies. Just a short walk from the hotel are shopping and entertainment areas such as SM Megamall, The Podium, Shangri-La Plaza Mall, and Robinson’s Galleria. Minutes from the hotel are places of interest such as Greenhills Centre, Tiendesitas and Eastwood City. Five to seven kilometers away are the CBD areas of Makati, Bonifacio Global City and Eastwood City. International Airport is 15 kilometers away from the hotel. Adding to Manila’s best dining destinations are four specialty outlets. Cucina, the all-day dining restaurant that features live show kitchens; Lung Hin, the contemporary Chinese restaurant serving traditional and authentic Cantonese cuisine; Café Pronto, the relaxed and friendly coffee venue; and VU’s, the first of its kind sky bar and lounge located on the topmost 45th floor of the hotel. Short Description: Marco Polo Ortigas Manila is centrally located in Ortigas Commercial Business District between Quezon City, Mandaluyong and Pasig City. Hotel is accessible to organizations such as Asian Development Bank, Meralco, San Miguel Corporation, major Business Process Outsource (BPO) establishments and pharmaceutical companies.